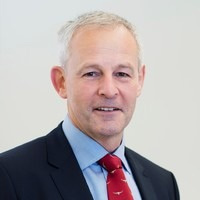 He looks after Elite and recreational athletes and his specialist interest in reconstructive knee surgery includes meniscal transplantation, articular cartilage repair, ligament reconstruction including multi-ligament injuries, and osteotomy. Tim trained at Oxford and at Royal Hospital Haslar, prior to a specialist arthroscopy and knee surgery fellowship in Toronto in 1994-1995. He qualified in 1982 from Charing Cross Hospital, London and spent the first part of his medical career with the Royal Marines and the Royal Navy. He joined Coventry in 2000 after five years as a Consultant in the Armed Forces. He has a busy sports knee surgery practice, runs a knee fellowship program and continues to be very active in teaching and research, pioneering several new techniques. Nationally he leads the National Ligament Registry collecting outcome on ACL surgery, while Internationally he is chair of the Arthroscopy Committee for ESSKA and the Finance Committee for ICRS, after being the program chairman of the ICRS congress in Chicago in 2015. He is Vice President of the International ACL Study group.